"It's crazy to think it all just started with a little Kickstarter"
Shovel Knight was one of the biggest success stories of 2014, yet it remained a significant part of the download scene in 2015. In the fifth article of this 2015 'Year in Development' series we chat again to Ian Flood and David D'Angelo of Yacht Club Games, talking in detail about the studio's year. In this second entry we talk over the Shovel Knight amiibo, another big 'real world' year for the developer and its future plans. Be sure to check out the first part of this interview, too. In late August we had the amiibo announcement, so can you talk about how that came together? David D'Angelo: That started in 2014, the possibility of it even happening – what it would look like, what it could do. Ian Flood: At first it didn't seem like it would really happen! David: Yeah, Nintendo said "pitch us on it" when they showed us the New 3DS. We started chatting about ideas with amiibo and they asked us whether we wanted to formally pitch to do an amiibo. That kind of thing is strange, like you're sending a paper to no-one! But the whole thing was shocking, really, they kept saying let's move this forward, and we couldn't believe it was going to happen. Ian: The excitement leading up to it was something else. What was funny was that we were waiting for the announcement, website, trailer and stuff like that, and retailers kept leaking it. It was tricky to get the information out there. It's one thing to leak that it's a thing, but it's another to leak that it's in a game series it's not! There was a lot of information around, and we couldn't easily say it was wrong without talking about it fully. David: It's funny to be on that end of denying rumours. They're true to some extent, so what do you do? Ian: Yeah, we had to say it was a mis-listing, so not denying everything. We had people getting pre-emptively mad about the release date and pricing. All mad at details that were incorrect. We're pretty receptive online and tried to answer queries. David: What was funny is that some of the retailers causing the rumours weren't even actual sellers of the amiibo! Ian: So we tried to calm everyone down and put out a definitive update with full details. But that was fun, a few guys were at PAX for the reveal at the [email protected] event, and we were all excited that we had prototypes in a box. The guys were keeping them under their coats at the hotel so that we kept a lid on it, yet the whole time that was happening images were online. It was a bubble where the guys at the event were keeping a secret, but EVERYONE in the entire would knew about it. But still, it was an immensely exciting day with everything coming together. Can you define the management, distribution etc of the amiibo, and Nintendo's role? David: Nintendo is collaborating in terms of making sure everything is correct and to their standards. So the box makes sense and so on. Ian: We're ultimately in charge of the design of it, how it looks, how the toy works and so on. Who's manufacturing it, who sells it, how do they sell it. We do have various partners to make it happen, of course, just because it's such a big task to take on. I assume it's been quite a learning curve? David: Oh yes! I never thought that, in my lifetime, I'd be on the phone with a Chinese manufacturing company. Ian: Before Shovel Knight I had shipped zero toys. We want to try and do it correctly and do the right things, but there are learning curves; it's a tricky process. David: It comes down to things like legal terms, what needs to be on the packaging in each country, how many feet in the air can you drop it from before it breaks. How many pieces can it be broken into before you swallow a part, how many colours can we use on the figure. It's all over the map. Ian: It was pretty fun hearing how many ways it can be destroyed in product testing! The amiibo unlocks quite a lot of features, like co-op on Wii U, challenge mode levels and Custom Knight. Can you talk about that and any ideas left on the cutting room floor? Ian: In terms of ideas we went through, we wanted something to impact the campaign. David: What we pitched to Nintendo is ultimately in the game with the amiibo. One thing we did cut out was that initially we talked about having Custom Knight be a co-op AI character, like Tails or levelling up in Smash Bros.
Ian: We thought it through in terms of it gaining abilities, and we thought about whether it'd be fun to have an AI Shovel Knight also jumping around on screen. Ultimately we didn't think that would work. I always thought about whether you'd be impressed or disappointed in the AI, and thought most times you'd be disappointed in it. If it did all the jumps would it make the player feel foolish, or if it failed would you want to help a baby Shovel Knight that wasn't very skilled? David: We also thought about how that'd work in co-op – would you both have AI partners? Four Shovel Knights? We quickly thought that'd be a dumb idea. Ian: The Custom Knight feature is fun though, especially in the Wii U co-op. So, at level 10 you and your friend could have different things, so there's that thing of having a bit more variety. David: The general goal was to have a lot of content, make it something really appealing. We've found with a lot of Nintendo games with amiibo sometimes you want to use them and sometimes you don't, though that often works well; we want ours to be something that plays a good part in the game. Ian: As Shovel Knight is a download game at a certain price, we wanted the toy to be an attractive thing that you'd want to go and pick up. It seems like one of the most substantial amiibo figures in terms of the content it brings. Is it, in a positive and non-cynical sense, a form of physical DLC? A way to give a bit more aside from free updates? David: I don't think we saw it that way, and actually if we thought of it that way it'd be a loss for us. It's a ton of work, and if we were going to release DLC as a download for $10 we'd make a lot more money from it. Ian: At the same time, I don't think the content we've done for the amiibo, such as Custom Knight, is something we would have done just as DLC. David: Yeah, we built it with the hope that you bring the amiibo to a friend's house and show off your custom character, with the conversations around cool items and abilities, comparing figures and so on. It was very much a question of how do we make this figure and encourage you to take it places? It's a weird way to do DLC, as we're making this figure and it costs a lot to make – it would have been easier to just have a normal toy! 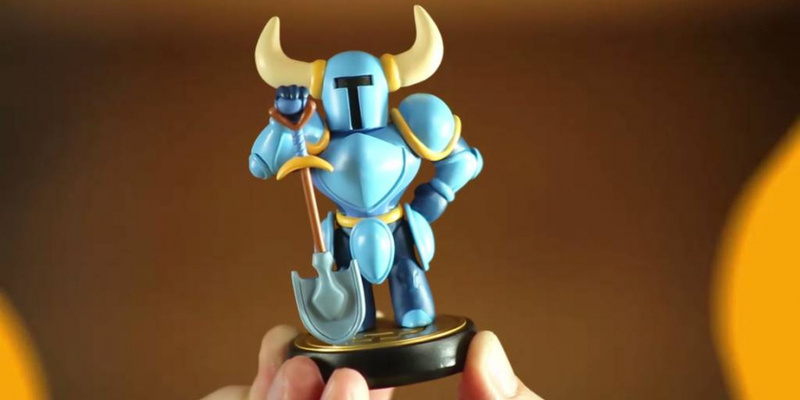 Ian: We were excited to make a Shovel Knight amiibo, that was the motivation above everything else. David: To have it among Nintendo's figures was just a crazy thought, and it's cool technology that you can use with Shovel Knight in interesting ways. Ian: And it's a tabletop Shovel Knight, just to have one on my desk was exciting to me. You've released Shovel Knight on plenty of platforms, but some do associate it as a 'Nindie' game as it came to Wii U and 3DS first. Do you think the amiibo reinforces that? Ian: Yeah, just like releasing special content on other platforms, making the amiibo has cemented it as a 'Nintendo' experience for the eShop version. That was pretty important to us. 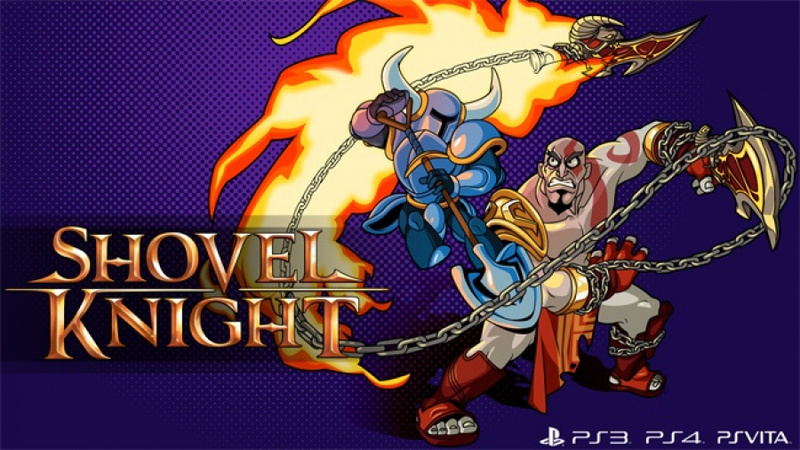 David: It's our goal that wherever you play Shovel Knight it feels like a game specially made for your system. So on Wii U we had the Miiverse functionality, a unique thing only on that system, and StreetPass and stereoscopic 3D on 3DS. Ian: What we usually say is that if you bought the game on PS4, 3DS or whatever, it feels like a game really designed for that hardware. David: Of course, the game's DNA so clearly originates in the Nintendo and NES era – that inspiration is undeniable. We're coming to the end of the year. 2014 must have been mind-spinning, but how do you reflect on 2015? Has it felt like continued momentum, or entirely different? Ian: 2015 felt like continued momentum. We were doing the same thing – trying new ideas, updating the design document, creating new art, working on implementation. It's felt like the game development hasn't halted at all. David: It feels like things just keep happening. The list keeps growing. PlayStation, Xbox, physical release, Plague of Shadows, we did a lot of stuff! Ian: Our team size has not drastically changed, we have a lot of talented people and we're doing a lot. David: We're doing the same as before, just more of it all the time! Has all of this progress helped maintain sales in 2015, too? Ian: Absolutely, it's been great. Something pretty amazing which we checked the other day is that in November this year, we sold more copies on Nintendo platforms than in November 2014. Ian: That's just Nintendo sales, too, just on the eShop. Pound for pound what we could sell we did better this year. That's pretty crazy to think it's still desirable enough to people that there's still an audience to buy it. It's becoming a platform of its own. Ian: To see the support since release has been great. To see people hearing about it and deciding to buy it. David: The interesting thing is that we still get emails from people mentioning bugs, and recently we've wondered whether they were coming back to it with the amiibo. But no, so many say they've just bought the game for the first time. They just happened to buy it, almost regardless of the new content coming out. Ian: You always expect a flatline, but it's great to see people still talking about it and buying it. That could be because of Plague of Shadows or the general updates. Ian: That just reinvigorates us to make sure the update content is still exciting. David: It's awesome to think people are still picking it up, beating it for the first time and then unlocking Plague of Shadows, then maybe they see the amiibo. It's just an honour that the game has become so much bigger. Ian: Yeah, and then you tell them Specter Knight is coming and so many say they just love that character. It's really cool. So at the end of 2016 we'll be talking about another year of Shovel Knight updates! Ian: I'd say our goal is to completely finish Shovel Knight in 2016! That's what we're hoping to do. David: We'd never worked on a game more than a year in the past. Dev cycles were never this long, and we were in the programming team so we'd work on something for nowhere near this long. That's the weirdest thing with the Kickstarter updates, just working on one thing for so long. The idea of starting something fresh after 2016 is almost crazy to us at this point. Even though I backed the game, I typically think of it as 'done', albeit I'm looking forward to trying out the amiibo features when mine comes in the New Year. Nevertheless, are you still delivering all of the stretch goals, such as the gender swap option and so on? Ian: So the things we still have lined up – Specter Knight campaign, King Knight campaign, Battle mode on consoles (not portables), and Gender Swap. Those are the stretch goal unlocks we're still working on. That's fine that some backers are ok and moving on, not keeping a hot eye on it, but there are people still following it closely. David: We don't think it's a bad thing that some are taking a break from it. Ian: Another thing is that the original Shovel Knight campaign hasn't changed with all these updates, it's still there and it's no less fun. So, if you "beat" Shovel Knight you're still all talking about the same thing – these updates are side-adventures. When amiibo content was finished and finalised we had a meeting and looked at what we're doing next, mainly the Specter Knight campaign. The body swap mode involves creating alternative sprites and characters, that's an ongoing process. Concepts for the characters, how they'd look etc, it's never been dormant. To wrap up, is there a key part of 2015 that defined the year for you? David: For me the big thing was the retail release, having it in boxes in stores. Ian: 2015 was the year of the real world for us! David: It's unreal to walk into a store and see it, our game was pressed in Japan and then shipped. Someone's in a store and picking it up, in France! Ian: Or trading it in! David: And the amiibo, getting a bunch of toys made in China. Then adding Kratos and Battletoads stuff on PlayStation and Xbox, all this crazy stuff. The ways we've expanded the Shovel Knight universe is shocking to me. David: When we released and ended 2014 winning a Game of the Year prize and meeting Koji Kondo at The Game Awards, it seemed impossible to top that. But in some ways we have topped 2014 – we're in real stores. The story I love to share is with my mom; even though we've sold a lot of copies of Shovel Knight, it doesn't register on her radar. Then we came out in stores, and she literally said to me "Shovel Knight is a real game now, I can buy it, this is so cool". She went to Target or whatever and the employees knew the game. She said "this is my son's game", and they thought she meant it was her son's favourite game, and who cares, right? But she said "no, my son actually made this game" and the Target employees knew about it and liked it. She could pick it up for relatives. It's crazy to think it all just started with a little Kickstarter. At the start we wondered whether people would think it's a flash game, or appreciate that it's an NES style we're reviving. The way it's landed, it's just crazy. Our thanks to both Ian and David for their time. That's pretty awesome that there's still some more content coming to Shovel Knight. Yacht Club has really done a fantastic job with this game! I managed to get in a preorder for the amiibo last night when it was briefly up on amazon. Here's hoping they don't flub the orders somehow because that co-op mode looks insane. I'm so happy for them... but it's disappointing they have nothing else going on. Glad to hear there is an end in sight and that they are aiming to be done in 2016. I mean, they are so talented, I want to see what else they are capable of. As much as I love these guys, I do feel they overpromised on the Kickstarter. At this point, I really wish they were working on a new game. It's hard to keep interest almost two years later to keep checking the extra content, even if it's free. Either way, here's to a great 2016 for them. They surely deserve it. I really am impressed with this game and happy it is finding success with Nintendo. I plan on picking up the physical release and the amiibo and I look forward to the next game they make. By the way, how many here found out about Shovel Knight through Jon and Arin on Game Grumps? Also, way to be supportive mom. "It's a real game now!". Personally I'd feel like that was a slap in the face, haha. Playing as specter knight would be interesting. I wonder how they will pull that out. 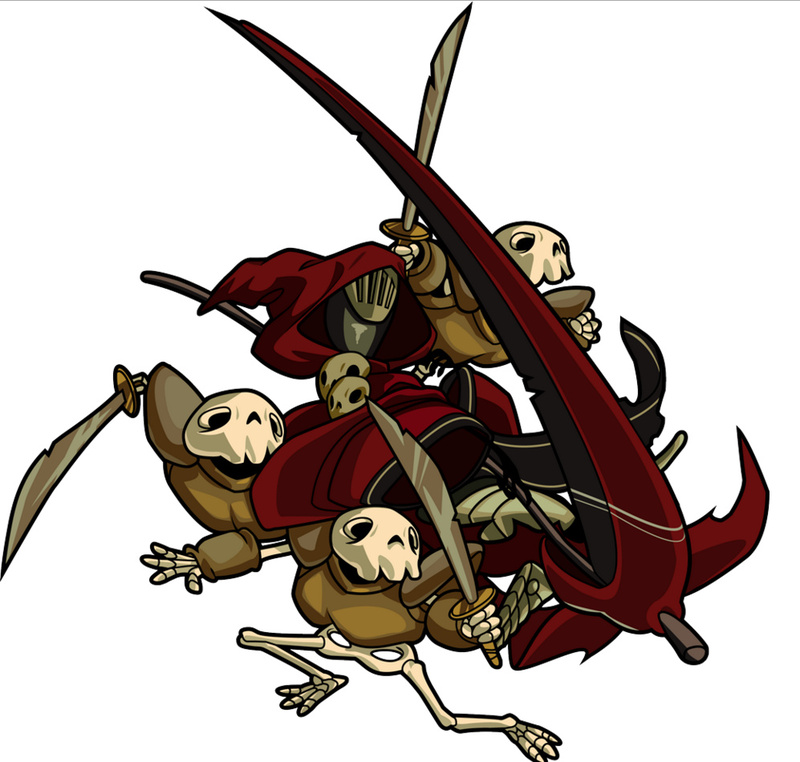 I'm looking forward to seeing the Specter Knight campaign in action. King Knight seems like he'd be a joke character for a "Hard Mode" of the Shovel Knight campaign, having shorter jumps, less attack power with his staff, and a slow running speed. I just can't imagine that decadent dandy having a serious adventure, but I hope to be proven wrong. @artofmana I heard about it here on NL first, then saw Jon and Arin play it, then bought it on day one! This is one of my top 10 games ever. Looking forward to the added content but even more so to their next project. I'm not a big amiibo fan but I will get SK when he comes out. It's honestly much better implementation of extra content than anything Nintendo has done with amiibos. That was a nice (and long) read. One of my favorite article of 2015 is with the Shovel Knight amiibo and how everyone freaked out before and after the announcement, leaks included. Also it give some insights on amiibo production, management, and the freedom non-1st party have. So weird and unusual to me that a indie studio would but this amount of effort in one game, especially a year after release. Looking forward to King and Spectre Knight, as well as whatever they make after this (whether it's Super Shovel Knight or something entirely different.). I'm impressed that Nintendo didn't just take their Amiibo figure design and make the Amiibo themselves. I love this game so much, and I love Yacht Club Games for everything they've done and continue to do. I cannot WAIT to see what's next, be it Super Shovel Knight or Shovel Knight 64 or something else! These guys are scumbags. Lock out an entire game mode unless you buy the amiibo. I'm never going to buy Shovel Knight and I'm never going to buy any of their future games. The game exists since last year. If u didn't buy it already I don't think you ever would. The Amiibo-announcement exists since August this year, till then nobody was aware of anything being "locked away". And since it's launch the makers intend to make new campaigns for this one game which it's latest DLC was completely for free and around the same big of content as the game previous was. To me that's just rediculous how you can think like that.